As the culmination of my Bump Day Blogs, this post first appeared on over on Pregnancy After Loss Support, here. For quite some time, we had the 19th June scheduled for Eli’s induction. It would place us at exactly 37 weeks, and felt like a safe time to plan it. Leo had died at 37 plus 1 weeks, and we understand the benefits of getting as close to term as possible for various different outcomes. Ideally, our team would have advised for 38 weeks, but given Leo’s timing, 37 seemed a balanced compromise between fear and outcomes. However, I was admitted at 35 weeks due to my anxiety and my concerns about a slight slowing in Eli’s growth. My consultant understood that due to the comparisons with Leo’s final growth scans, I would be unlikely to relax at home for the final two weeks. Admission was absolutely the best option, with twice daily CTG monitoring and midwives available at all times. In my second week of admission, at 36 weeks, we had a follow up scan to assess blood flow. Whilst the blood flow to Eli’s brain looked good (a crucial indicator to placental function), the umbilical blood flow was slightly elevated. Again, whilst our Consultant was happy with this medically, it resembled the key factors involved in Leo’s death. At this point, the plan was to continue and rescan towards the end of the week. However, an hour or so later, my consultant decided that in the interest of our mental health and due to the comparison to Leo’s scans, and now being a further week on, we should commence with induction that day. So after a whirlwind afternoon of repacking our bags (I’d considerably ‘moved in’ already) and hyper disbelief, we started induction. It was at this moment, that both of us actually believed we may make it through this, and Magpie would breathe. Suddenly, the possibility became real. We were going to meet our baby! We spent a couple of hours in the induction suite, and my contractions were a steady few minutes apart, and escalating in intensity. I attempted to distract myself with Netflix, whilst keeping an eye on Magpie’s heart rate. We were being continuously monitored as per our birth plan, so I was hooked up at the time. 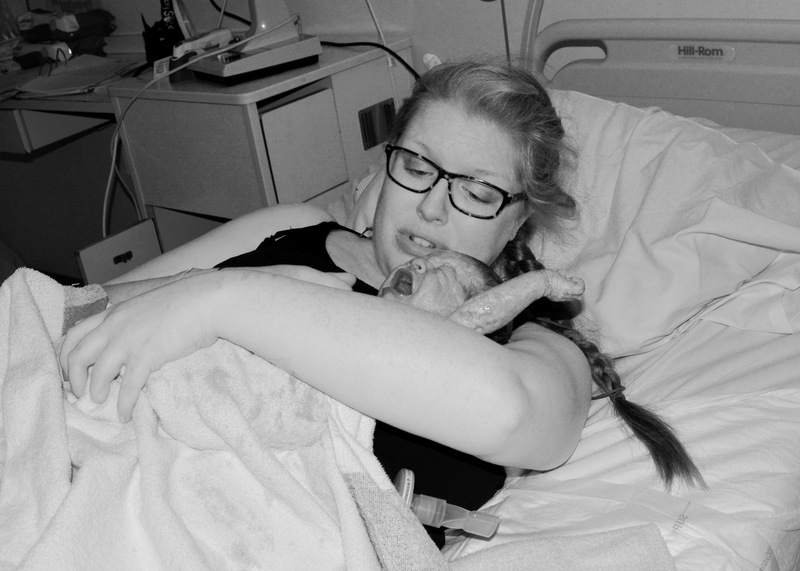 I had to work on getting my positioning right to power through a contraction without loosing his heartbeat on the monitor – the balancing act of anxiety in labour after loss. At about 8pm, the induction suite closed, and we were moved to delivery suite, and re-hooked up to the CTG machine. Unfortunately the wireless machines were already in use, but I managed to get myself in the position that felt right for me (leaning over the raised bed), and still be connected and see the screen to keep an eye on his heartbeat. Whilst I appreciated that the midwife was monitoring it, that the doctors could see it from their desks, and that there was a ‘fresh eyes’ review every hour – I had to be aware of it too, that it was present, fluctuating and not showing signs of concern (from my limited knowledge!). Moving to delivery, I was finally able to get my hands on gas and air (! ), and could get myself in a flow of attempting to control the waves of pain, and enjoy the light headed feeling that was so familiar from Leo’s labour. In Leo’s labour, I just maxed it out. This time, I attempted to practice a better approach of stopping the gas and air at the height of a contraction, so that in-between, I wasn’t so spaced. I asked my midwife to assess how dilated I was, just for a sense of progress. At this point I was 3 or 4 cm dilated (at this point in Leo’s labour, I requested an epidural). 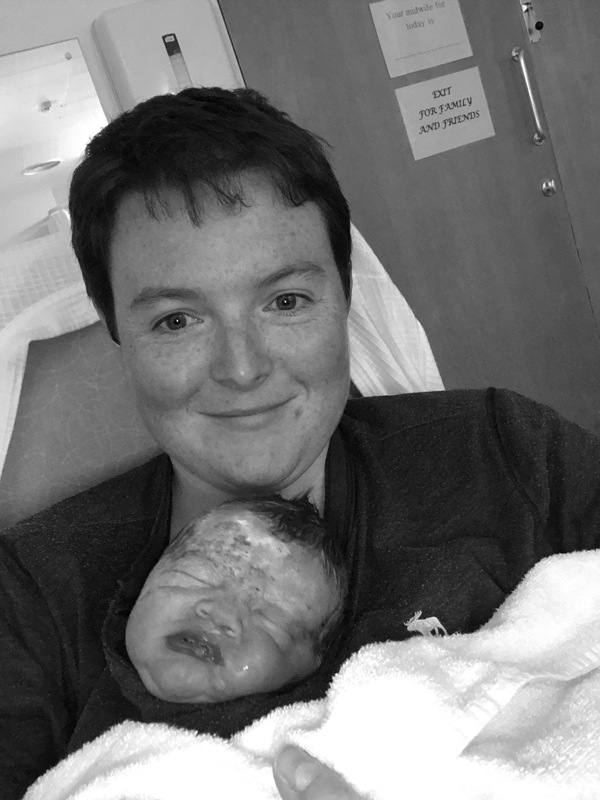 They had already been able to feel Eli’s head when they first put in the gel, and the midwife reminded us that in second labours, things can progress rather quickly… So I tried to not feel too disheartened. I continued through some fast progressing and long contractions – I’d get about two close together, and then a bit of a break before another two. Luckily that morning we had finally organised our labour playlist, complete with some 90s classics and random dance tunes. Turning it up loud and having a bit of a dance was the way forward. By 10pm, I was due to be assessed and my waters were able to be broken (to Chakka Khan’s – Ain’t Nobody!). This is something that I still don’t recall from Leo’s labour, and has always confused me. But my waters popped, and the pain escalated. With just gas and air, and no epidural, I could absolutely feel the pain relating to Magpie moving. Through contractions, I stood in front of my wife, and leant into her to focus through the pain. I’d decided however that when I wanted to push, I’d want to lie down on the bed – I felt far safer this way. When I felt the urge to push, about forty minutes after I had my waters broken, we repositioned to the bed. The midwife was great at coaching me through the balance of taking a breath in, and pushing, as I struggled a little to concentrate on the pattern. After just eight minutes of slow and steady pushing, Eli River was born, at 10:59pm. I think I must have asked a few times if he was actually alive, even after him being placed on my chest. It was such an intense few hours, so surreal and such a whirlwind! We’d finally made it. After Eli was born, we attempted to feed but he wasn’t quite there yet, so my midwife gave him some colostrum that she hand expressed from me. 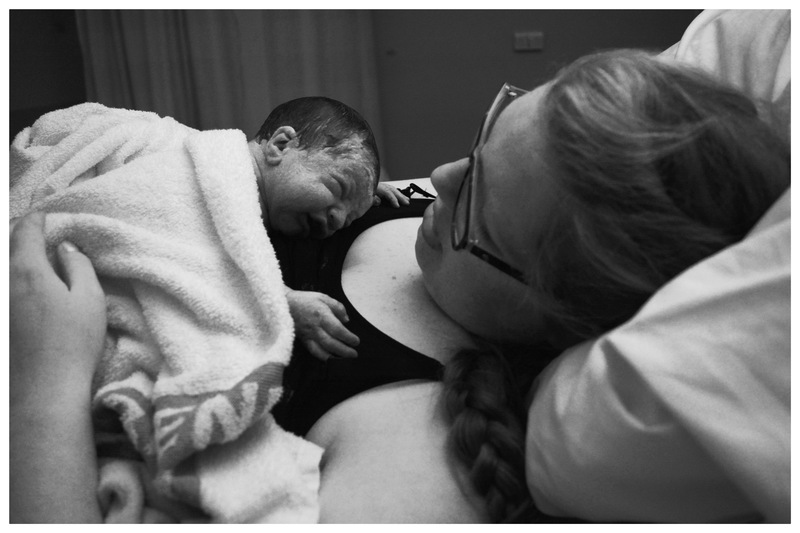 His chord was cut by my wife, and after some skin to skin with me, he got his first cuddles with her whilst I delivered the placenta and had some small stitches. At birth, his observations were good. However on the hour check, his temperature and oxygen levels were too low. After some re-testing, the neonatal team were called, and he was taken through to the High Dependency Unit. Whilst pre-labour, we had discussed this possibility, the reality of it was terrifying. After such an intense few hours, the shock of watching him being taken away from me was incredibly scary. The reality of baby loss sunk in, other peoples experiences floated in and out of my head, and I struggled to believe that all would be okay. My wife was able to go with him at this point, as I had to eat some food and use the toilet before I could leave the Delivery Suite. So, I took myself to the shower, cleaned myself up, packed our belongings and asked to be taken through to him. About forty five minutes after he had left, I was finally able to go through to the Unit, and see him in his incubator. I’ll be honest, it was very scary, but I could also see that he was being so well looked after, and that they had explained many things to my wife already. They let us just sit there, with him, staring at him. We shed quite a few tears, as the tension of the day and the last few hours were released. 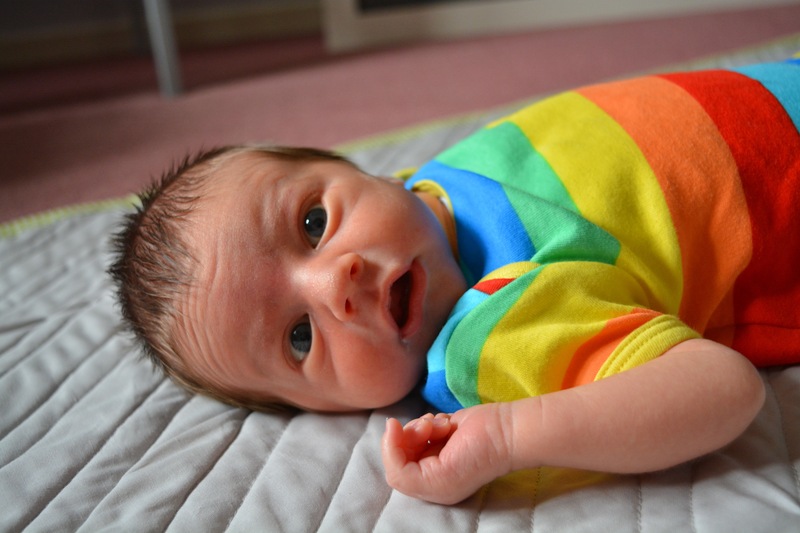 It took us quite a while to name him – we hadn’t quite decided before he was born (we had some strong contenders), and then him being taken to High Dependency gave me a sense of urgency over choosing a name for him. In all honesty, I feared that he would die, and I didn’t want to be naming another child upon his death. When you spend so long filled with fear and anxiety, its hard to trust in anything – especially when your hour old newborn is hooked up to so many machines. Whilst he was in there though, we were able to see his eyes, and that was just incredible and really helped to hold some strength for him. At approximately 5am, we went up to our ward to sleep for about an hour or so and then returned to the Unit. He quickly made progress to get out of his incubator and started regulating his temperature on his own, and after a day or so, came off any oxygen support. The doctors and nurses in the unit were fantastic and so calm and relaxed, it really helped you trust in them and their care for him. By the Thursday evening, after just two days, he was discharged up to the ward with us with just a small bout of jaundice to shake. By the following Monday, we were finally discharged and allowed to go home. Our stay in hospital felt long, and we were desperate to just get Eli home, and just enjoy a bit of ‘normality’. I did fear a little that it would all go wrong before we had even achieved this milestone, and no doubt that played into my eagerness to leave. Before we left the hospital, we took Eli on a little tour of a few places – we introduced him to the midwives that looked after me before he was born, and took him along to the unit were I’d had my weekly monitoring. One poignant place we wanted to take him to was the bench we had sat on just before Leo’s birth. We passed this area of the hospital at every visit and it held such bittersweet memories. We had sat there, just 17 months before in deep shock, grief and fear. Finally bringing Eli home was surreal, and yet, so freeing. Whilst the anxiety still exists (we check he is breathing constantly), it isn’t as intense anymore and we are suddenly on the other side – the other side that we just never expected to materialise. Pregnancy now feels like a different world, I struggle to fully remember the intensity. 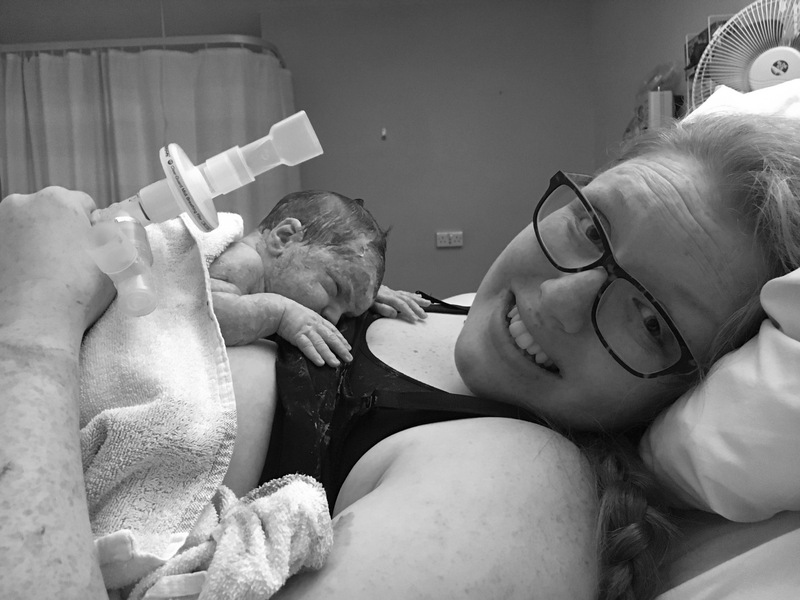 Pregnancy after loss was one of the hardest challenges we have ever gone through,and to achieve the outcome we’d been hoping for, for so long, is just incredible and still full of disbelief. Eli is here. Our only wish would be for Leo to be here too. Eli River, born 13th June 2017, at 10:59pm, weighing 6lb 12oz.